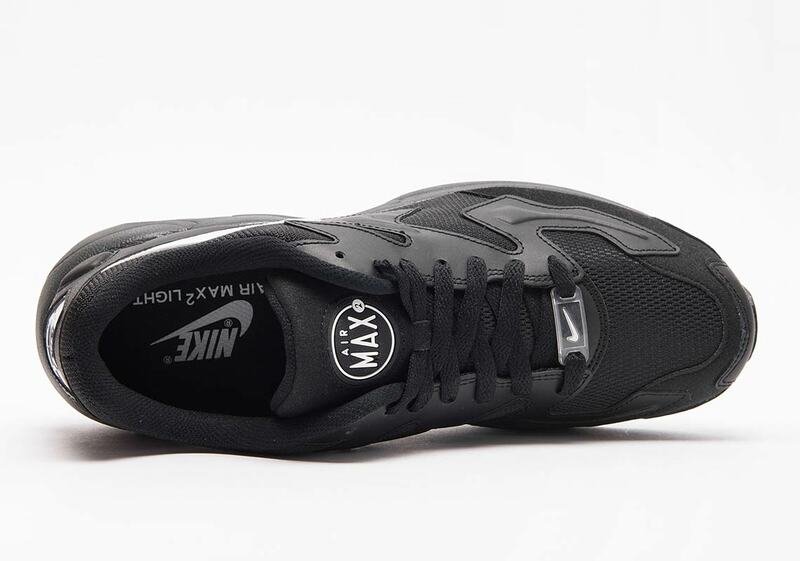 Storming back onto the scene two and a half decades after it first released, the Nike Air Max 2 Light has become an early-year favorite among Air Max heads and retro Nike lovers alike. Although it’s mainly appeared in warm and bright palettes during its first few weeks back on the market, the Light 2 is now opting for a more simple black-and-white look that lets the colors take a backseat of sorts to the shape/unique design accents. 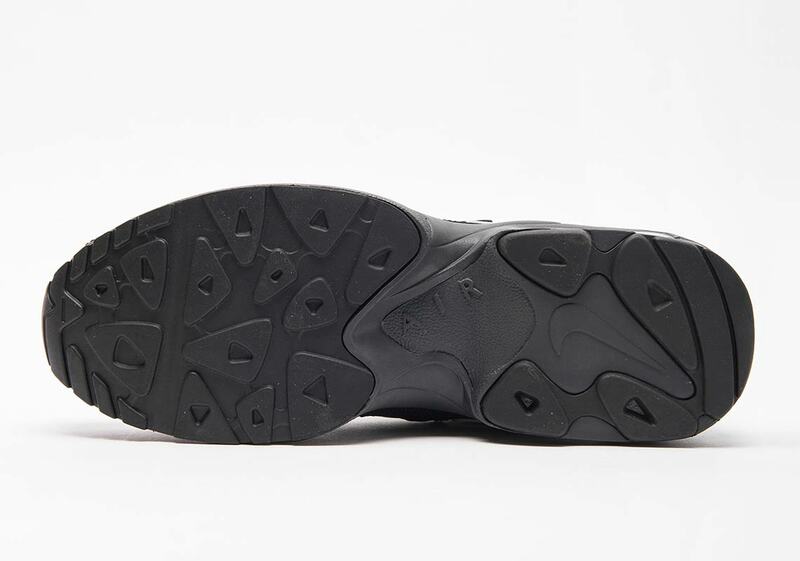 Calling upon a sturdy combo of black mesh and leather — the former for the base, the latter for the overlays — the shoe’s main accents arrive via a white Swoosh, white/black tongue badge, and a translucent heel piece with a small underlaid Swoosh. A clear lace deubre with yet another small Swoosh adds a slight extra pop of flair, and the shoe is then completed by a black midsole/opaque heel Air Max unit. If you’d prefer a simple pair of 2 Lights to the more bold options on the market, you can expect this colorway to arrive soon at Swoosh Brand stockists like Sivadescalzo. 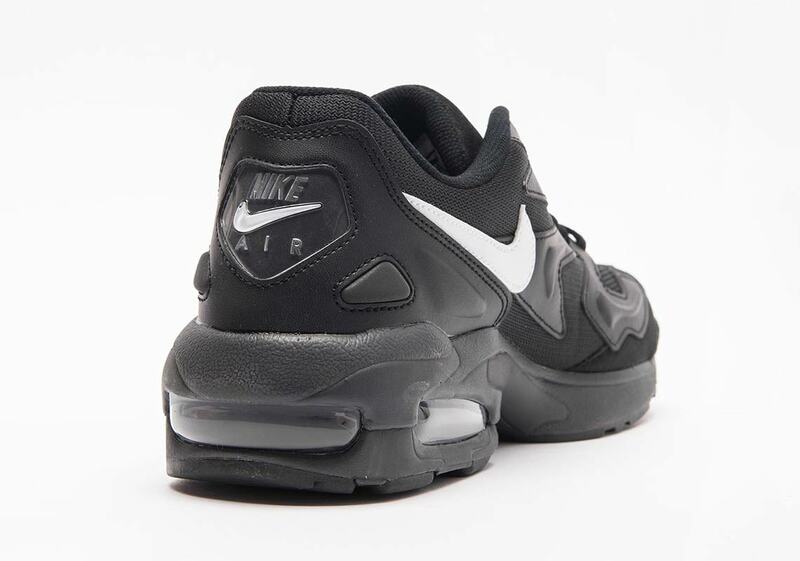 The post Nike Air Max 2 Light Arriving Soon In Black And White appeared first on Sneaker News.